Game Info – The Sequel Of Popular Fish Game “Zen Koi”(Hits Over 5 Million Downloads) “Zen Koi 2” By Landshark Games Available In Early Access. The New Part Comes With Many New Features. You Play As Koi(Fish) And Your Goal Is To Grow Her Into A Playable Dragon, Expand And Decorate Your Pond. Internet Is Required To Play This Game. You Start The Game With A Cute Fish And Eat Other Small Fish Species. You Have To Catch Prey, Convert Them Into Gems. Collect Gems And Expand Your Pond. Simply Tap On A Fish To Eat, Koi Will Automatically Follow And Catch The Fish. 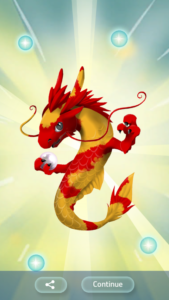 Grow Koi And Ascend Into A Playable Dragon. Collect Over 300 New Koi Patterns, Unlock New Achievements In This Relaxing Game. To Unlock My Pond Section, You Have To Collect 200 Essence With Dragons. Make Sure You Are Connected To Google Play Games Account To Save Game Progress. If You Forget To Connect, Then Game Will Start From First Level. To Restore The Saved Game > Go To Menu > Settings > And Restore. You Can Get Pearls By Watching Videos/Ads Or Purchase With Real Money. Graphics – Excellent, Game Controls – Smooth, Gameplay – Great, Size Of The Game – 49 MB, Download – Here. Price – Free. Mode – Online.